Lefkas, the fourth largest of the Ionian islands, is named after its white "lefkos" cliffs above the beautiful sandy beaches of its west coast. The island is connected to the mainland of Greece by a bridge. Most of the island’s tourism is centered on or close to the seaside town of Nidri on the east coast. 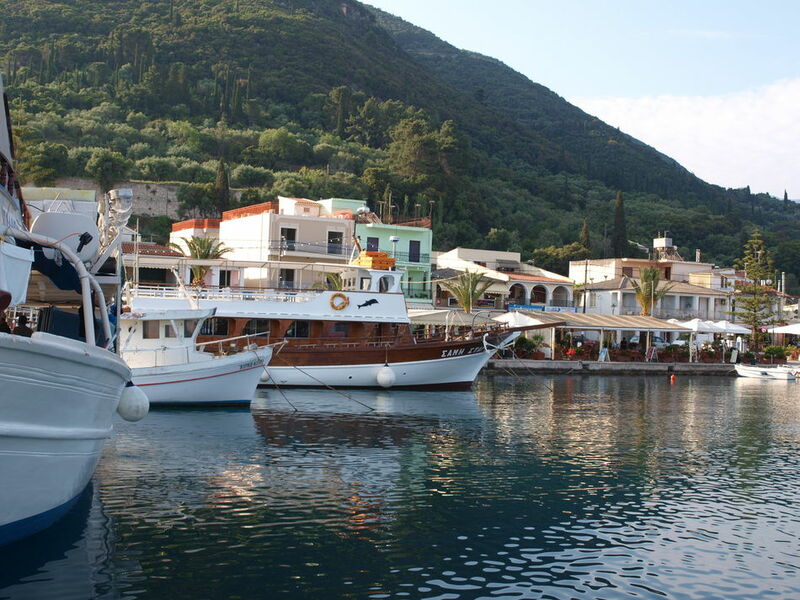 In the north, Lefkas Town has an intriguing mix of old and the new with excellent restaurants close to a busy marina. 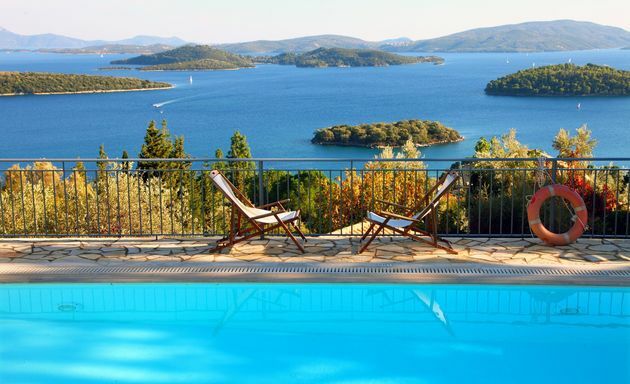 In the south, Sivota is sheltered within a large bay and offers a perfect spot for people and boat watching from a selection of waterfront cafebars and tavernas. 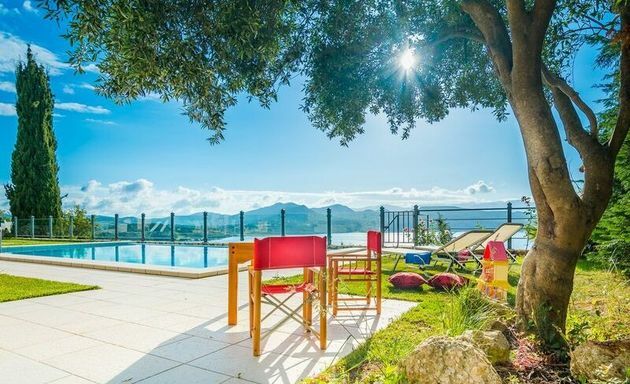 A drive inland within the northern part of the island, will take one to an undulating landscape of fertile valleys, clad in olive groves, vineyards, pine and cypress forests and a series of hilltop and mountain top villages where the traditional ways of Lefkas life continue unscathed. Boat trips from Nidri are available to visit the offshore islands and a ferry departs regularly to Meganissi. 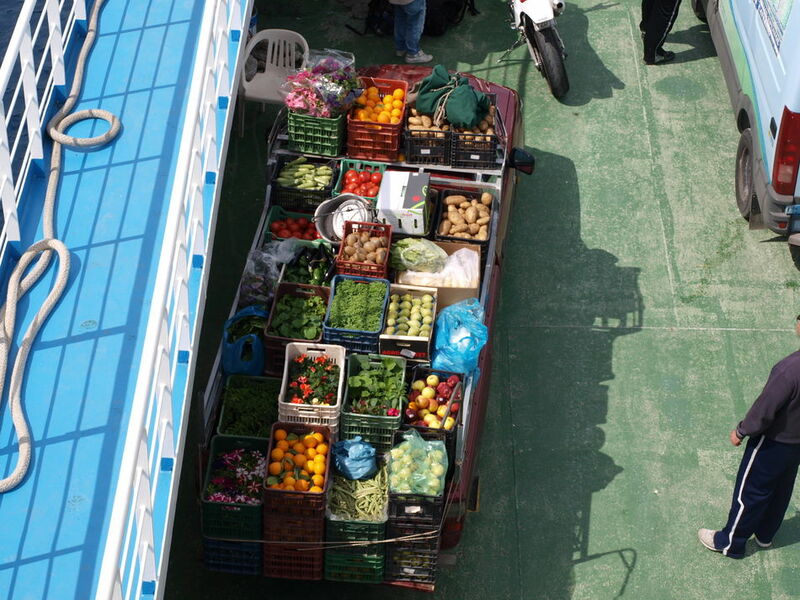 From Sivota there are regular ferries to Frikes on Ithaca and Fiscardo on Cephalonia. 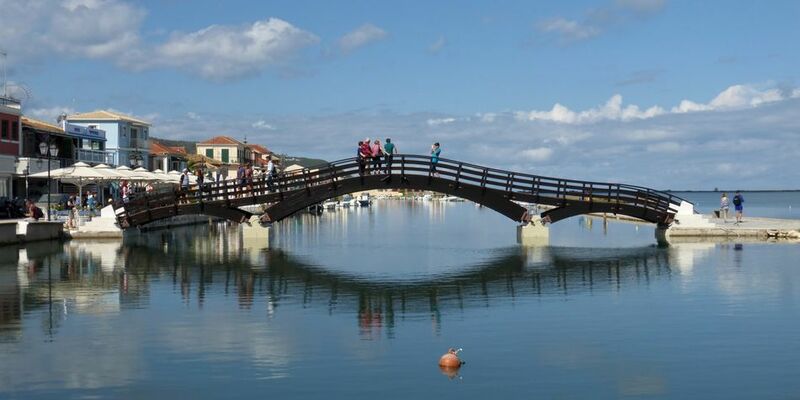 Lefkas offers a fascinating interior to explore and some of the best beaches in Greece to find. 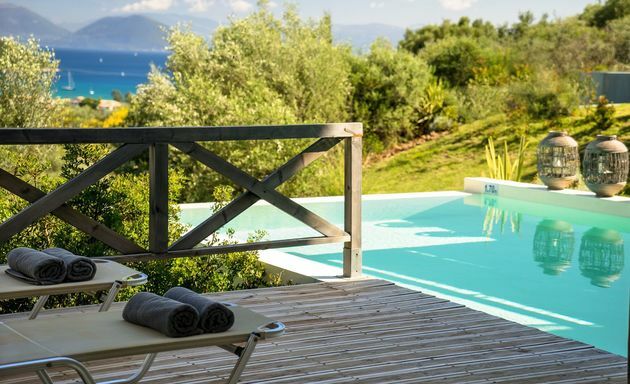 Overlooking the west coast, Villa Eleonora has theatrical views across the sea to the island of AntiPaxos and the mountains of the mainland beyond. 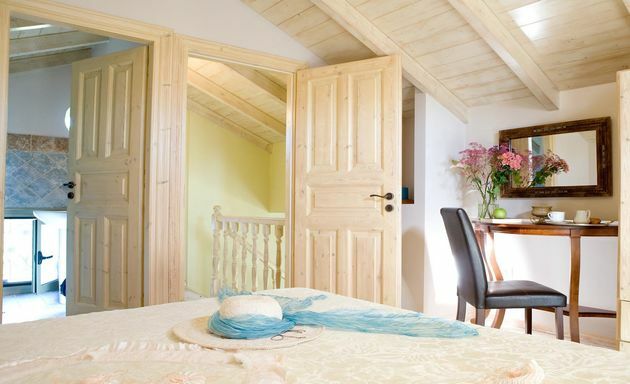 Villa Hamomili is just 2 kilometres from the sandy beach of Agios Ioannis and the many restaurants of Lefkas Town. 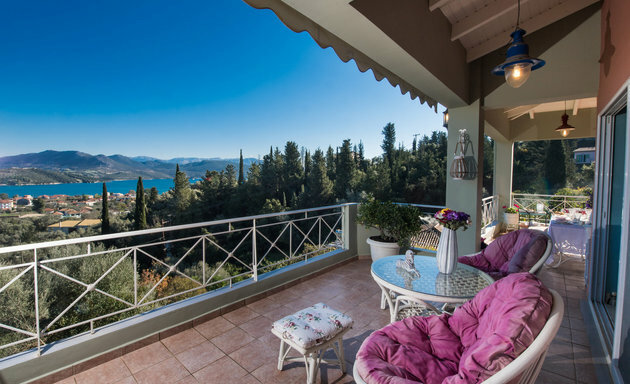 Villa Helena has dramatic panoramic views over the offshore islands of Skorpios, Sparti, Skorpithi, Meganissi and across the sea to the Greek mainland. 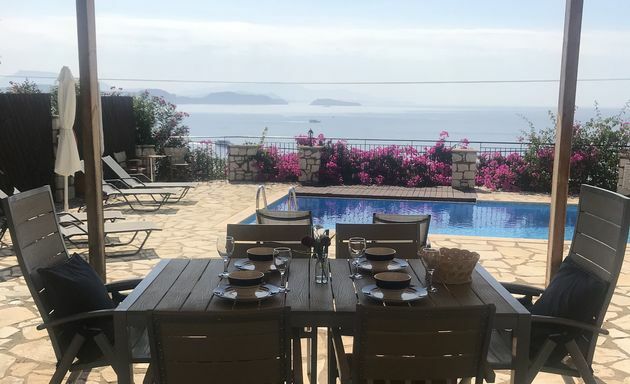 Villa Icarus is one of four spectacular villas, perched high above the sea on a south coast promontory looking down to the port of Vassiliki. 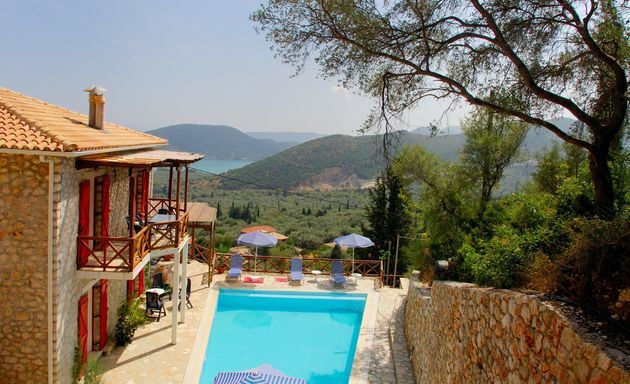 The views across Vassiliki Bay and to the islands of Ithaca and Cephalonia are breathtaking. 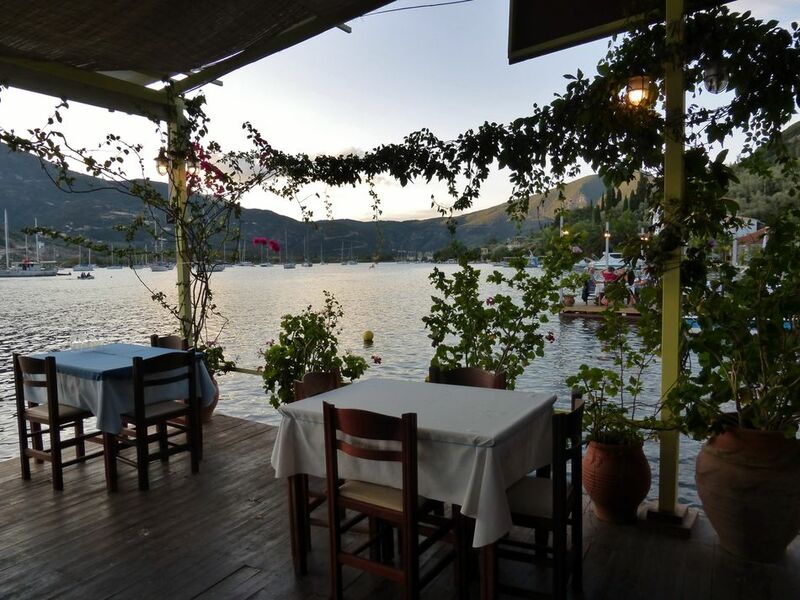 The views from Ismini across Vassiliki Bay and to the islands of Ithaca and Cephalonia are breathtaking. There are no other buildings in the vicinity and there is a glorious feeling of peaceful detachment. 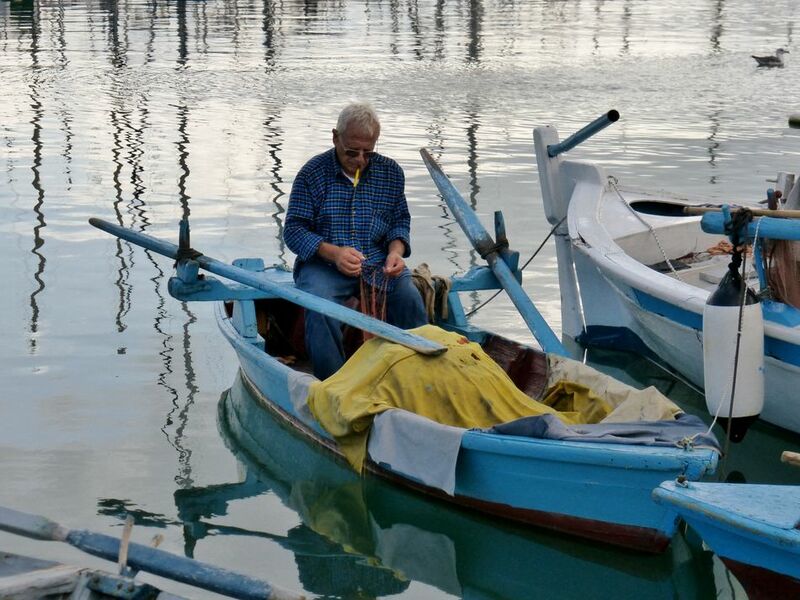 Behind Agios Ioannis beach there are a small number of houses, hidden amongst olive groves. Villa Karina is one of these houses and is just a 10 minute walk to the beach. 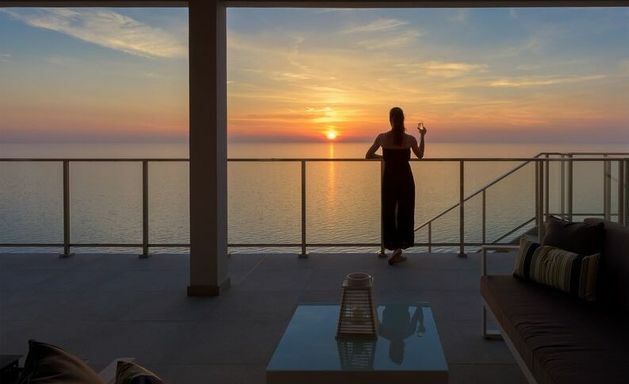 Villa Katerina is a modern and elegant villa with rooms opening out on to wide balconies and terraces with magnificent views across the sea to the Greek mainland and along the wooded coastline towards Nidri Bay. 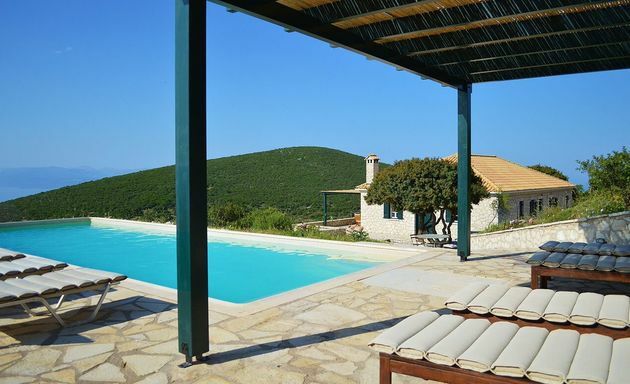 Villa Lavender is a comfy villa with stunning views across the sea to the island of AntiPaxos and the mountains of the mainland beyond. 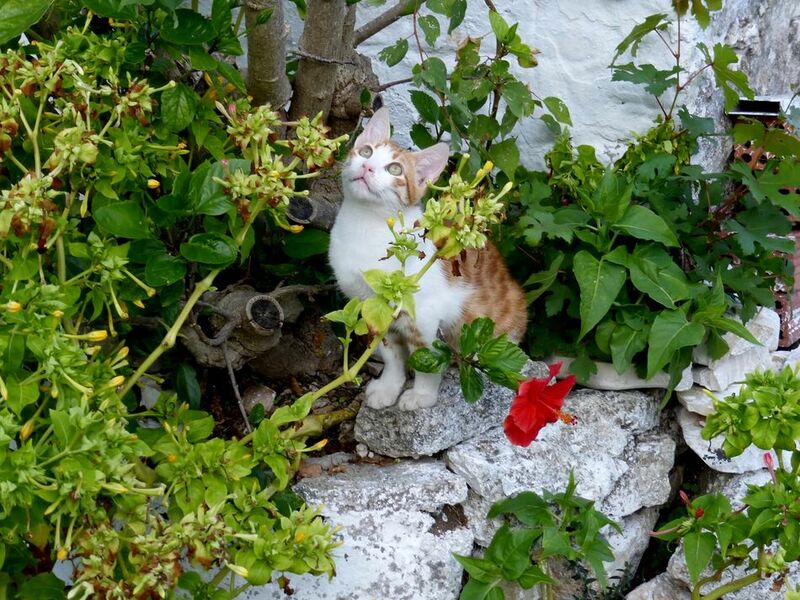 Lemon House is one of two villas, set privately on a hillside terrace just outside the sheltered bay of Sivota on Lefkas' south coast. 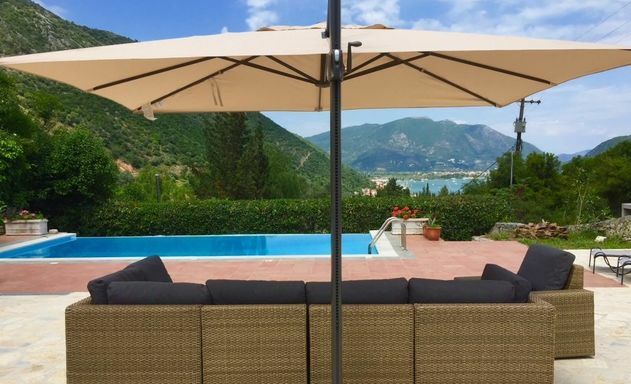 Villa Loutsa is set peacefully on a hillside terrace, surrounded by olive groves and pine trees, just above the tiny seaside village of Periyali on Lefkas’ east coast. 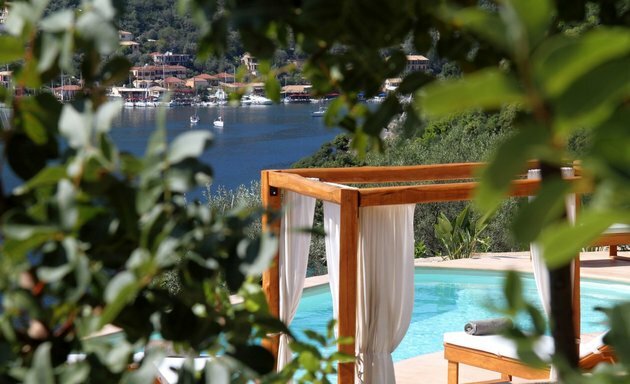 Villa Mandarini has dramatic views to the sheltered bay and waterfront of Sivota, on Lefkas' south coast. 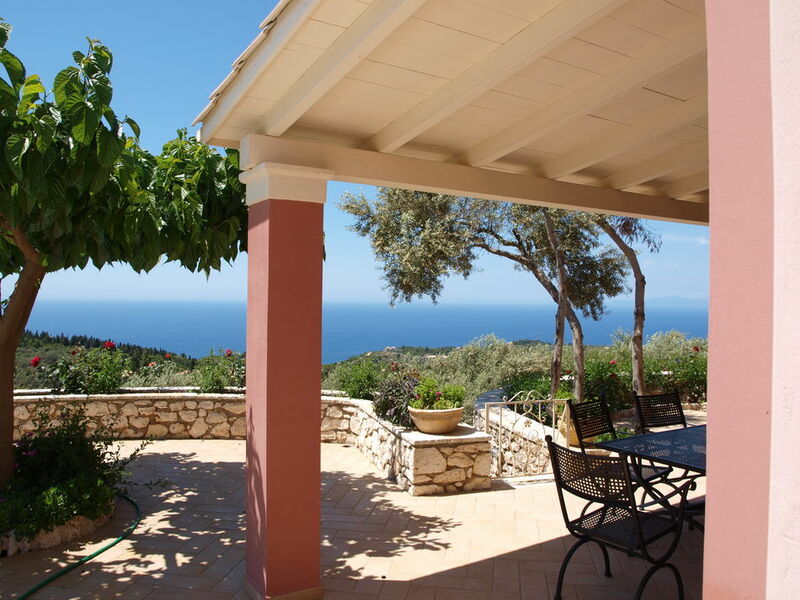 Villa Mantzourana sits within a hillside olive grove overlooking Vassiliki Bay on Lefkas' south coast. 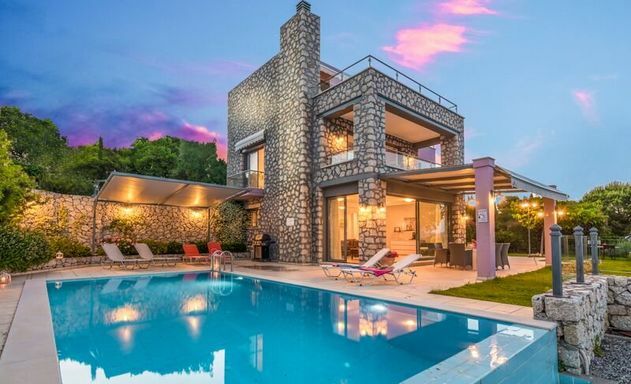 Villa Melodia stands on a wooded hillside on Lefkas’ east coast with spectacular views across the sea to the mountains of the Greek mainland.